Knowing exactly where your fleet is at any point in time enables you to REDUCE YOUR COSTS and INCREASE PROFITS by reducing call response time, more accurate billing for jobs, more efficient routing reduce fuel and labour costs, recover assets quickly in the event of theft, lower insurance costs, prevent equipment damage and positively influence driver behaviour. 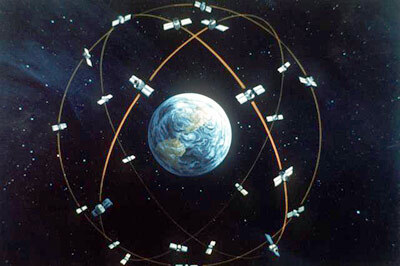 When 4 or more satellites from a constellation of 27 satellites transmit a signal to the simple tracking device placed in the vehicle the device can calculate its distance from each satellite. Using the known position of each satellite the device can calculate its exact position and return its latitude, longitude and elevation. This information can then be used to position the vehicle on a digital map or via reverse geo-location show its location street address. LinkSoft's tracking device reports the vehicles location whenever it makes a turn, travels a specified distance, goes above or below a set speed, the ignition is turned on or off, the vehicle goes outside or inside specified locations (geo-fencing), a specified amount of minutes have passed since last report or one of the digital inputs on the device has been triggered (eg: someone has opened the truck's cargo doors). This data is then transferred in real-time back to your office via the cellular networks (GPRS or 3G) where you will be able to view its position on a map, have reports of locations, or view historical information by use of the replay functions. This powerful tool is invaluable as either a stand alone product or as a module to one of LinkSoft's other products. LinkSoft has many solutions that can be available for fleet monitoring. These range from web monitoring only to extensive desktop software coverage. To find out about our fleet monitoring solutions please call or send us an enquiry.